We've bundled vaadin 7.4 with our application and you can use all available features of vaadin 7.4. We currently don't use new Grid component of vaadin 7.4 because it's not implemented in our vaadin UI. 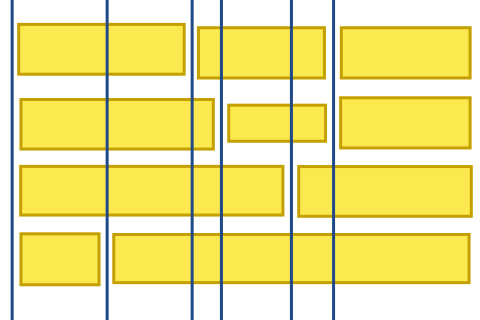 We'll replace the Table with Grid as soon as possible. This awesome view is now available out-of-the-box. Simply enable the design via web application settings screen. Have fun with VisionX 2.2.135. It's now been a year since I joined SIB Visions, I guess that's a good time to take a short break and look at everything that has happened so far. The first day at SIB Visions was filled with getting familiar with the JVx application framework, including a crash course through the complete architecture of it. I have to be honest here and say that I have maybe understood half of what I was told, but it was an awesome and extremely useful overview over the framework. Right after that I made myself roughly familiar with the framework by looking through the code, I got assigned my first tickets, simple feature requests and bugs, easy enough to do. The next weeks I read through quite many areas of the codebase and learned to navigate through it. Nothing too exciting. The first really big task I was assigned to was writing an FMB importer from scratch. In case you don't not know what FMB is, it is the file format used by Oracle Forms Builder to save the created forms. It basically comes in two flavors, binary and XML. 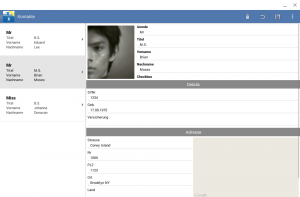 The goal was to be able to import a form created with Oracle Forms Builder directly into VisionX, preserving as much information as possible and making the migration of the GUI as seamless as possible. Convert the XML nodes into custom objects and place them in a tree structure. Convert the custom objects to JVx classes and perform the layouting in this step. "Extremely simplified" might be an understatement, because there are a lot of edge cases that need to be taken into account and you can't treat all elements the same, but basically that's the core principle of the processor. If you also go with naming your functions after what they are doing, don't be surprised if you end up with a function named transformItemNodesOnCanvasOnTabPageInBoundary. In the same step as the creation of the tree is the creation of a custom object hierarchy. I decided against converting them directly into JVx classes, because that would add a lot of logic to the processor and would mix two tasks, creating the tree structure and converting the objects. The position and size of these children. Again, this misses quite a few edge cases and optimizations. But now the really hard part is missing, how do we convert a coordinate base layout to a FormPane layout? Even though the layout looks quite nice already, there are two problems here. First, the second/third and fourth/fifth anchors are empty, they do not contain a component ("contain" as in a component that does start and end in that anchor). So we can eliminate all anchors that do not contain a component. The second problem are the overlapping components in the middle. We can easily fix that by pushing the components around. All that is missing now is to two a second pass from top to bottom. So we now have everything in place to import the UI. Of course there are still some parts missing, like data binding and wiring up events. But that wraps up the approach to importing FMB files. The plugin.xml contains all the needed information for the Eclipse runtime to load and run the plugin. Also this is where you register all the extensions you want either to use or provide. The Manifest.mf contains some additional information and the Activator is the main lifecycle class for the plugin. Registering extensions is as easy as implementing the interface required by the extension point and then adding your implementation to the list of the extension point. Your class will be automatically instantiated and used from the class it is registered at. The first big obstacle was implementing auto completion for various code parts, for example our listeners. As it turned out JDT (Java Development Tools) does only have limited support for it. 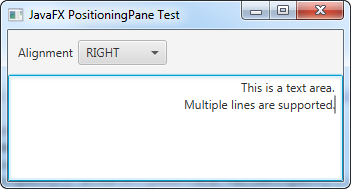 If you use their parser, you can only have complete lines, it was not possible to get incomplete statements. So we had to rely on internal classes provided by the "JavaCompletionProposalComputer" and the "JavaContentAssistInvocationContext" which also allowed us to get the information needed for incomplete statements. Gather all necessary dependencies for the application. Create a ClassLoader that contains all these dependencies and inject it into the ObjectProvider of the server. Create yourself a new session. Obviously this is only a rough outline, for example there's the security manager. We took the approach to change the configuration of the application on the fly and inject our own security manager that way, which obviously allowed us to do everything within the application. Also our session is a custom implementation that can never expire. From there it is only a small step to receiving metadata and other information needed to provide auto completion and compile time errors. Speaking of compile time errors, implementing those was as easy as eating a cake. The only two things needed are to register a build watcher, which will be notified of every file that is touched by the build process, and to run the file you want through the parser to receive the AST. Walking the AST is thanks to the visitor pattern very easy and you can quickly select only those parts of the AST that you're interested in. Run the code and extract the needed information. Find the variable that contains the MemDataBook. Find the declaration or last assignment of that variable. Find all usages of that variables. Get all values from the .getRowDefinition().addColumnDefinition calls. This is quite some work and that does not take into account that the row definition might be put into a variable, or might be provided by a different variable altogether. In the end, it comes down to implementing all the edge cases that you run across, and I think we did that very well. 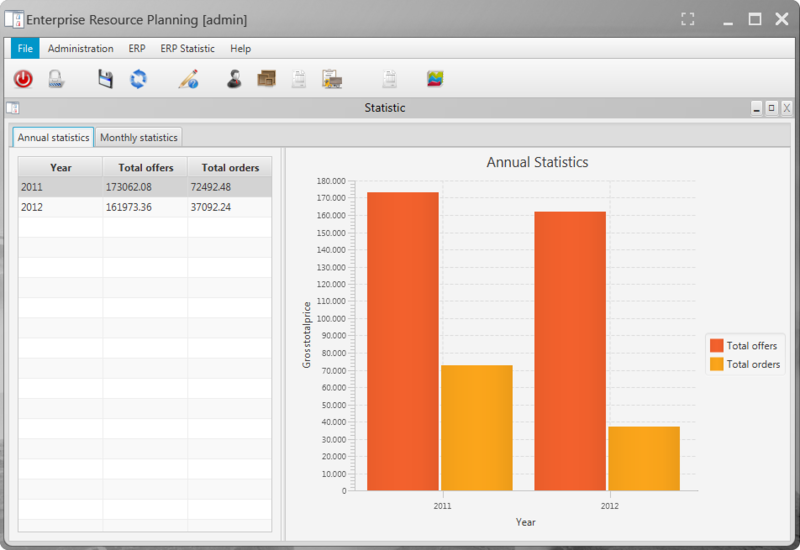 Also we had to create a few GUI forms with SWT and I have to say that it is very good. I'm looking forward to return to this project for the 1.2 release and implementing even more awesome features and doing some refactoring on the components I did not quite get right the first time. I was looking forward to this research project. I was always fascinated with the idea to have GUI unit tests, now I had the chance to actually do some research on them and implement everything necessary in JVx to make them possible. 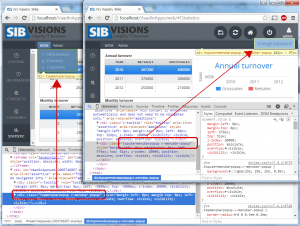 You can read about the results of the Vaadin stress tests on a previous blog post. After trying different possibilities, including the awesome Sikuli, we settled with AssertJ-Swing for Swing and Selenium for Vaadin. The first rough tests showed that testing was only reasonable possible if we would name all components by default and so we derived a default naming scheme and implemented it. While experimenting with AssertJ-Swing I realized that one important thing was missing from it, the possibility to easily record tests. Selenium already offers a simple recorder for most browsers, which simply records all events and exports them in the correct format, however AssertJ-Swing does not have such a facility unfortunately. Swing itself is build on top of AWT, which allows to register a global event listener by using the Toolkit which means that one can see all events that are happening, which itself makes it rather easy to record these events and put them in an easy to use format. The format in our case would be Java code that can be copied and pasted into our test cases. To have a reasonable layer of abstraction, the recorder would filter and prepare the events and forward them to a "plugin" that is able to omit Java code. With this facility in place it was easy to record tests for Swing, however replaying them was not so easy at first. AssertJ-Swing has very concrete requirements when it comes to how it is launched and JVx has its own ideas regarding that. The solution to this was to derive a test harness, which would manage both, the AssertJ-Swing setup and also the start of the JVx application. The unit tests would then simply extend said test harness and would be able to launch the application on their own, executing the test case and then shutting it down again. This worked extremely well and we were even able to record and replay test cases for VisionX with ease. These experiments have shown that it is very easy to perform automated GUI tests on JVx applications, no matter if Swing or Vaadin is used as frontend. The created code during these experiments is not public at the moment, as there is still quite a lot to do and it's in dire need of some refactoring. But I'm very confident that we will be able to return to it and one day provide you with the tools to easily create automated GUI tests for JVx. 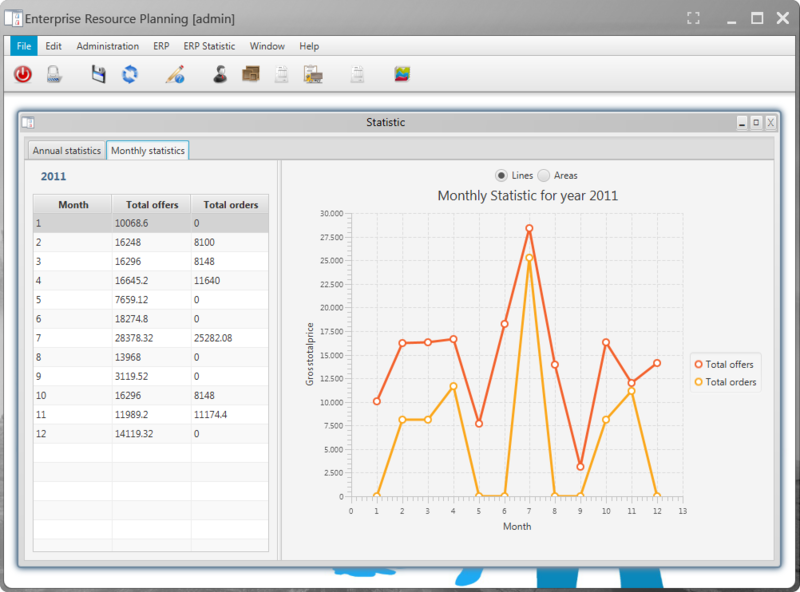 JavaFX has been in the works for quite some time now and has been coming along greatly. It was overdue that JVx does support JavaFX as a frontend and with the beginning of this year the work started to make that happen. Event though JavaFX has been coming along greatly, it is still quite rough around the edges and contains bugs that we needed to work around and some missing features. Currently we are monitoring over 40 requests in the bug tracker of JavaFX that are either directly or indirectly related to our JVx implementation, a little less than half of these were reported by us. Those span little bugs to quite big feature requests, some more critical than others. 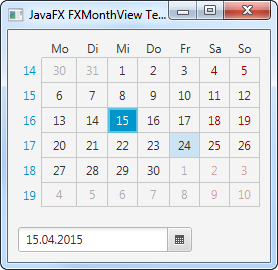 The FXInternalWindow can either be used with or without a desktop pane. They might as well live in a normal Pane (or any other). The content of internal windows is not limited in any way (you could also nest another desktop pane into it). The FXDesktopPane does offer various convenience features, like a pluggable window manager system. Implementing a new and custom window manager is a breeze, there are already two implementations provided by us: The FXDesktopWindowManager and the FXTabWindowManager. But one thing that really drove me up the wall several times was the usage of the "final" keyword and "package-private" modifiers. Multiple times problems could have been easily solved by overriding a method, which turned out to be final, or invoking a method or accessing a variable, which turned out to the be (package) private. Good API design dictates that both are used to protect the API from misuse, but for our work on the JVx/JavaFX project, most of the time it stood more in the way than helped. The take away for me personally is, that of course you need to design the API in a way that limits the possibility for abuse, but you also have to allow users to shoot themselves in the foot from time to time, that means that they can experiment and use the API for possibilities it might not have been intended for. And now we're in the present, phew, what a year! There are already two projects waiting for me as soon as we're done with the first version of our JVx/JavaFX implementation. I'm looking forward for another year with the awesome people at SIB Visions! 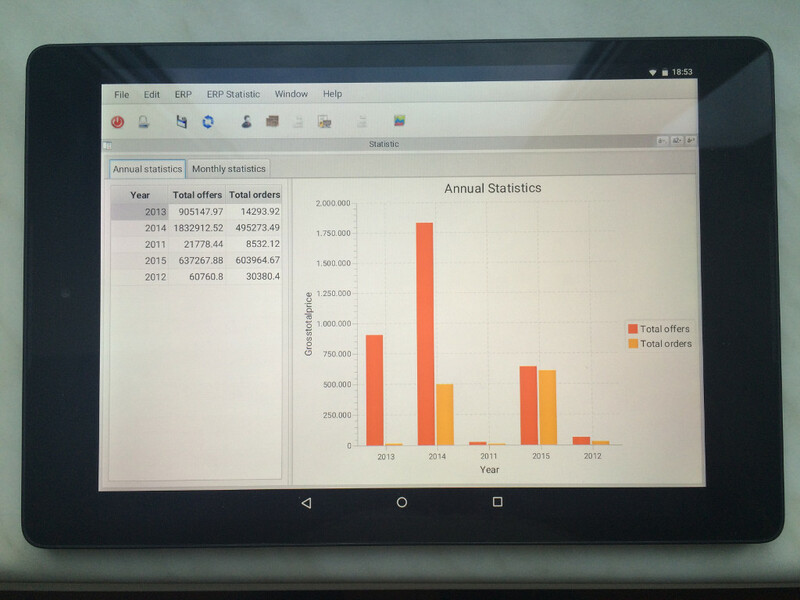 We started with our JavaFX UI in January and we are on the home stretch! All features were implemented and we have some Feature Requests and known Bugs in our Ticketing system and some open Issues in the JavaFX ticketing system (JIRA, at the moment). 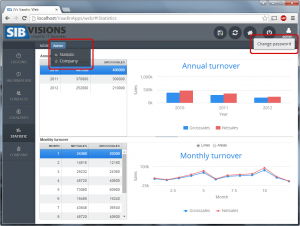 At the beginning we thought that 2 months will be sufficient to implement the whole UI We were very optimistic but not far away from the reality but we didn't know that JavaFX had a lot of missing pieces. Don't get me wrong, because JavaFX is an awesome UI toolkit and will be a perfect replacement for Swing, but it needs some real world applications. Yes, applications and not fancy hello world examples. Sure, there are some great applications but most use custom controls because of problems with standard controls. The overall performance is still not perfect and there's still a lot of tuning potential. Currently a swing application acts faster without delays. 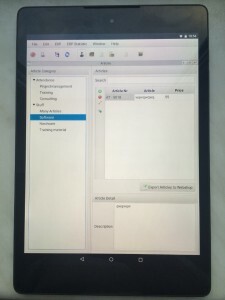 The biggest problem for us was that standard controls like Toolbar, Menus didn't work as expected and other controls like DesktopPane or Internal Frame weren't available. We didn't find a date + time combobox editor. Some standard controls like Button, CheckBox or RadioButon didn't offer specific alignment options and another problem was the coding philosophy because many useful methods are public final or private. You can't replace internal listeners or remove internal listeners because you can't access all list elements. But this article shouldn't cover our development problems because many of them will be solved with Java8 u60 and we have custom controls for the rest. Currently we have many useful classes for our UI and also for you, because we tried to implement all extensions independent of JVx. This article gives a short overview. 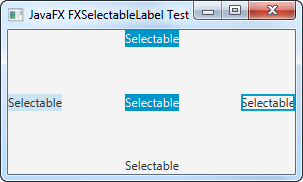 A selectable label, like RadioButton or CheckBox. A multi-state control with image representation of selected value. Optionally shows a custom character instead of the bullet. 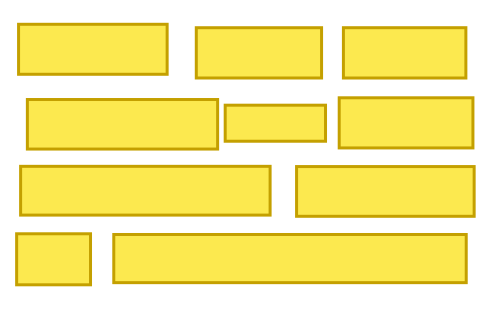 A TextArea with horizontal alignment support. Acts like a Swing panel with null layout. From the javadoc: The FXSceneLocker is a static helper utility that allows to to lock a Scene, meaning that only events that belong to the locking Node or its children are processed. If a Scene is locked by multiple Nodes, that last one does receive events. You'll find all other utilities and controls in the dev repositoriy. The ext Package is independent of JVx. We use it as base for our UI implementation. 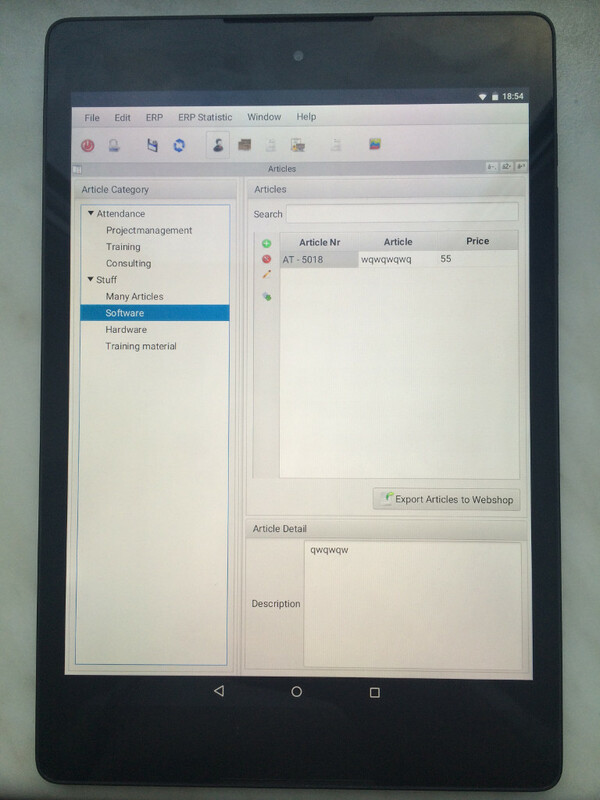 My last article was about JavaFX on mobile devices with JavaFXPorts. It was awesome that JavaFX worked without bigger problems on mobile devices but the number of needed re-deployments was high. The app build process needs some time (~2-3 mins) and if you do a lot of UI related changes in your application (CSS, layout, ...) you lose development time. How to save deployment time? We have our product VisionX and it has a Live Preview for applications while developing. 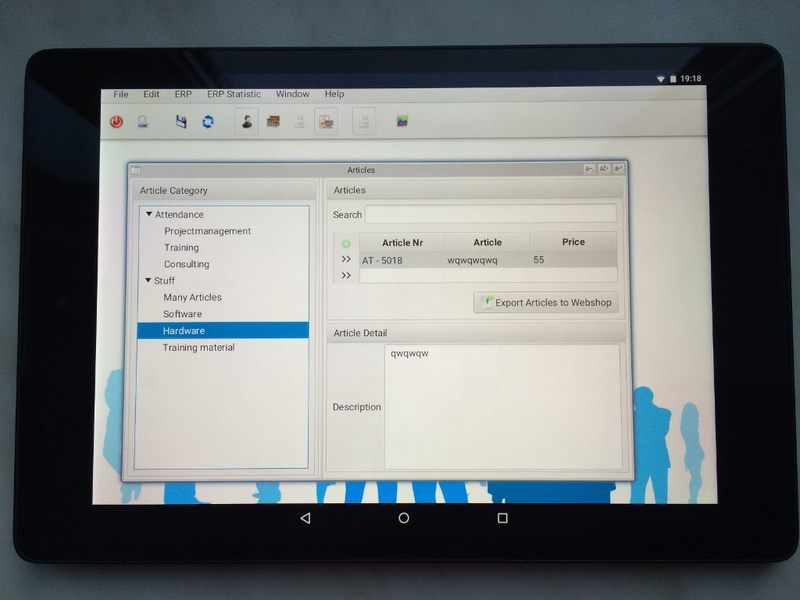 Our idea was that we could use the existing functionality to show changes on mobile devices immediately. It should work with Android devices because dynamic class loading is possible with custom classloaders. But as so often, things won't work as expected. Android has support for URLClassLoader but it doesn't work because the implementation is "legacy" . This means that loading classes with URLClassLoader didn't work. 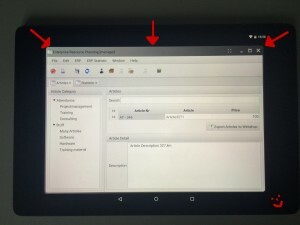 Android has a DexClassLoader! The DexClassLoader works great if you have the archive on the device. But it has no support for remote class loading. The other thing was that DexClassLoader needs a jar that contains a classes.dex archive. The classes.dex contains all class files (in dex format). The first problem was: How to create the DEX archive? Not too hard because Android comes with dx.bat and dx.jar. It's super easy to convert a jar file or a classes folder to a dex archive. 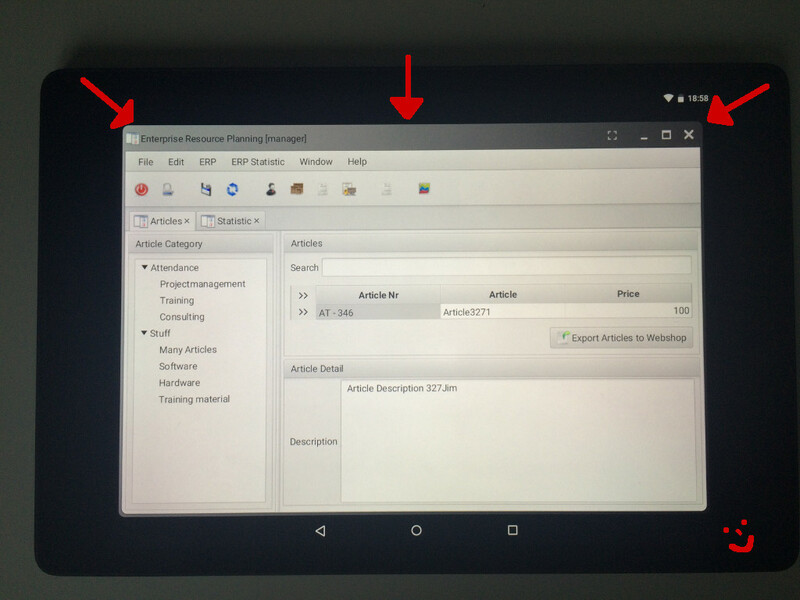 After the hardest part was solved, it was simple to implement remote class loading with Android, for our JavaFX application! If you need more information, leave a comment! In my last article about JavaFX, JVx and data binding you saw a first impression of our chart binding. We have additional screenshots for you. The first two images show a Swing application with different charts. 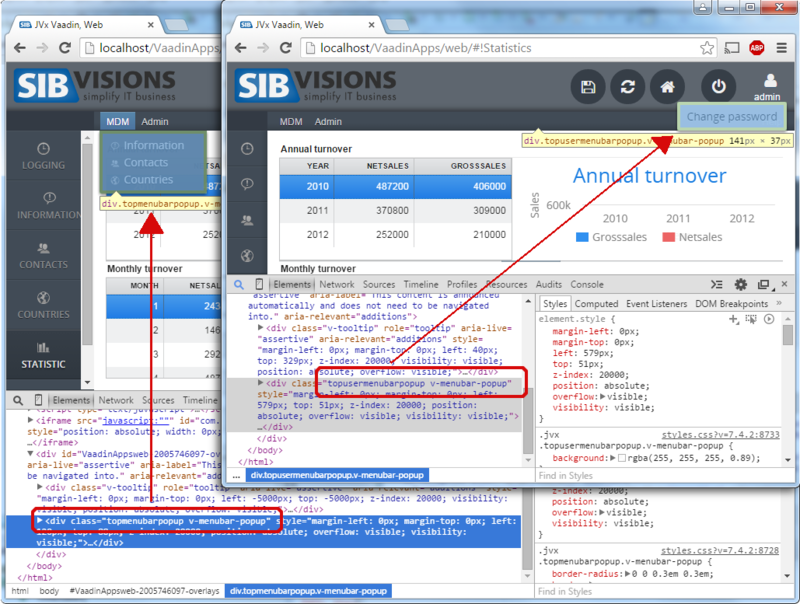 The next two images show the same application, with JavaFX. Which UI do you like more? 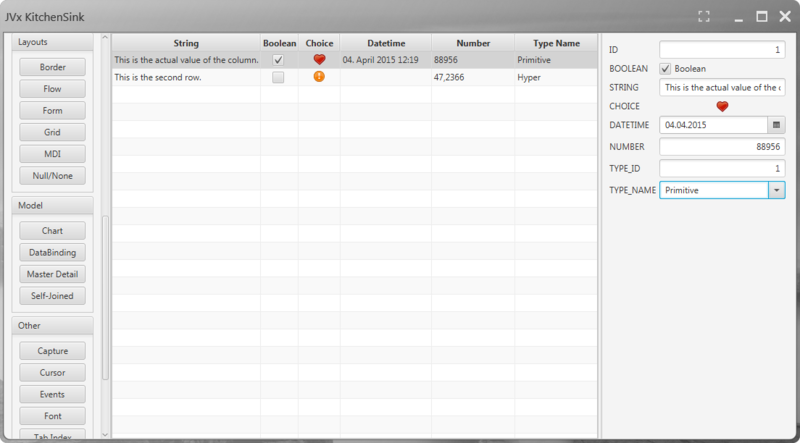 The JavaFX UI is clean and fresh. It looks modern compared to Swing. 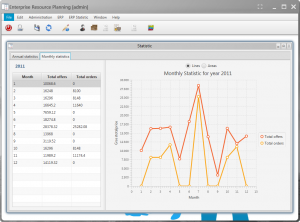 A desktop application should look modern and not dusty! How about the data binding? The complete source code is available on sourceforge. It's from our Demo ERP application. Both storages read data from database views (instead of tables). 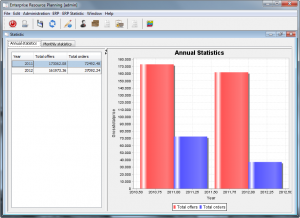 The views are not magic and could also be simple tables, but our Demo ERP has views for demonstration purposes. That's it. 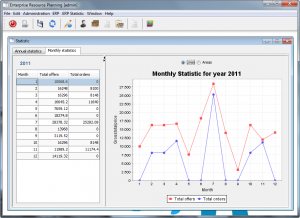 It's really simple to bind a JavaFX chart to a database table or view. 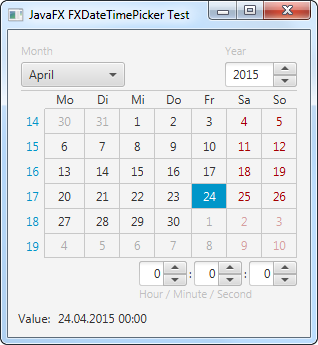 We made great progress with our JavaFX UI for JVx. The whole UI stuff was already implemented and worked with some known problems. The next thing was data binding because this should fill the gap between UI and business logic. 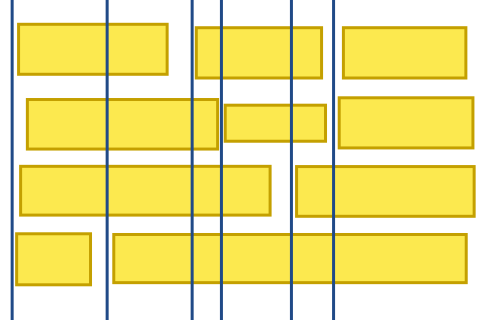 This means: bindings for a table, tree, chart, editors, cell editors, cell renderers, ... (hard work). The data controls of JavaFX were very useful and we didn't implement our own controls because standard controls were working. Sure, we had a different model in JVx than the "model" in JavaFX, but also Swing and vaadin had different models. We're experts in such things. We started with the table, because a table implementation should be easy without CRUD operations and of course, it was easy. The next thing was the integration of our cell renderers and cell editors because a date field should automatically use a date editor and a number field should use a number(only) editor. The same applies for checkboxes and comboboxes. 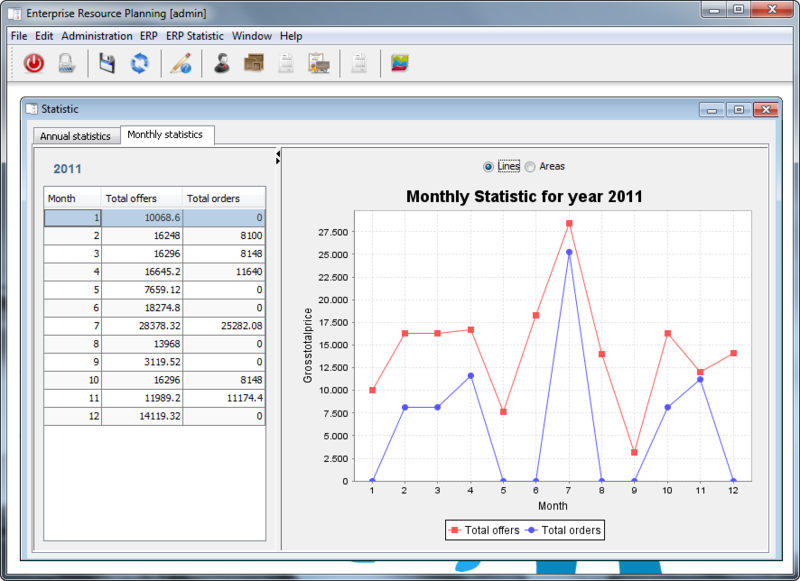 This was a hard job because JavaFX' table had different concepts than e.g. swing. We're still working on the last bits but most functionality was implemented. 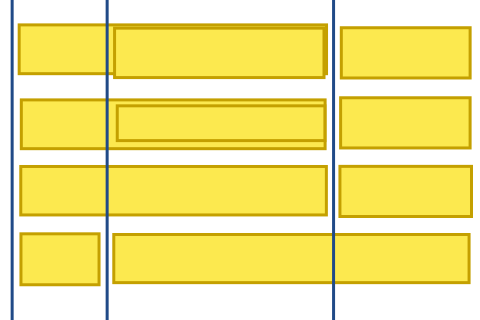 This was the whole source code for the table binding (= UI). The missing piece is the model. 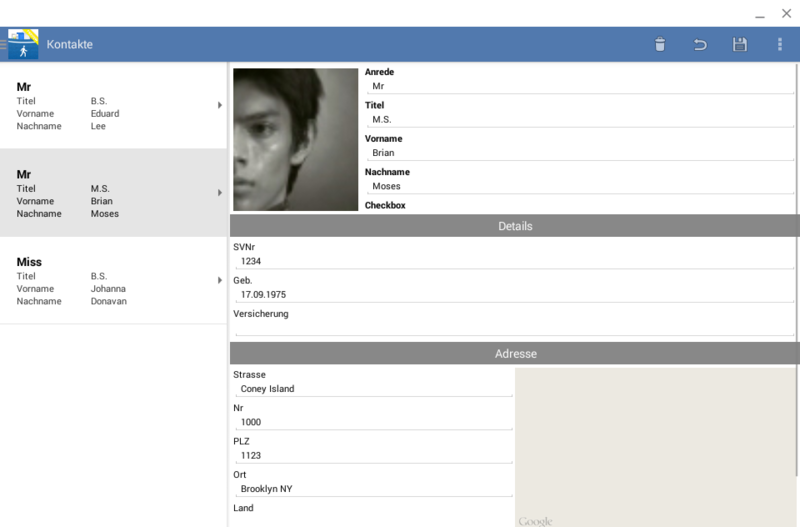 In our example, we've used the member dataBook. A databook is the model and controller of JVx. We have different implementations: MemDataBook, RemoteDataBook. A mem is like a database table, but in memory. A remote databook is connected to a remote/local storage. The storage provides data (from a database, filesystem, twitter, ...). 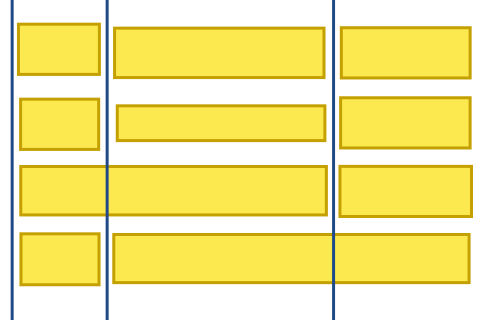 It's the definition of a table with some columns and different column types, like String, Date, Number, ComboBox. It's easy to use a real database table if you read following article or this one. What's the difference to standard JavaFX without JVx and why should you use JVx? 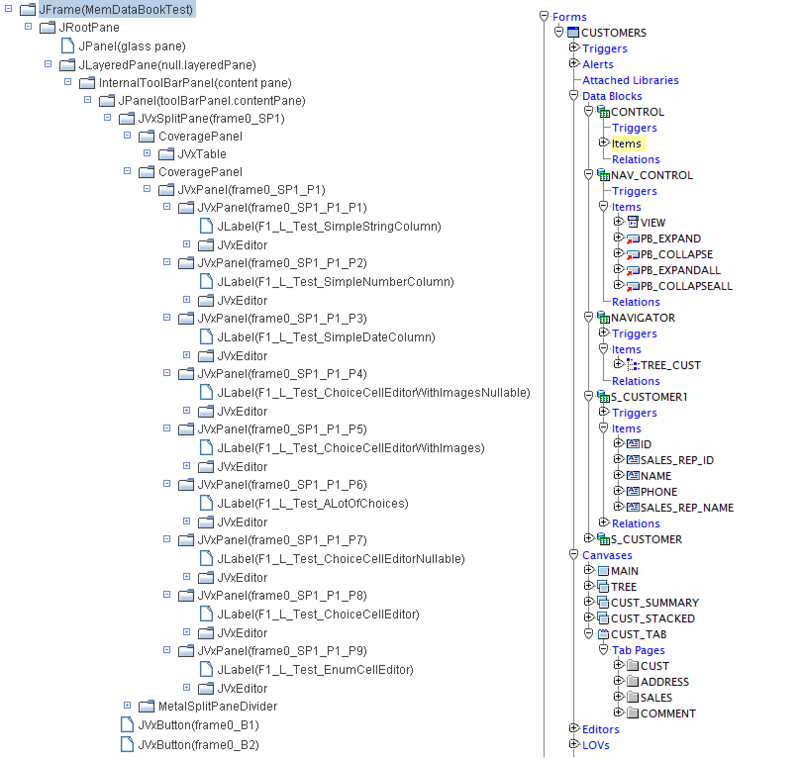 Here's the official documentation of Table View from Oracle. It's very complex to work with tables (seems to be so). The example in the official documentation doesn't use a database, like our example above! The first difference: Save time and LoC. This will reduce complexity and saves your dev time. It'll be easier to maintain an application with 1.000 LoC instead of 50.000. Second difference: JVx already is a framework and library - don't create your own and waste dev time. This is enough to get full CRUD support for your tables.